I will write more at a later date. I purchased Roon II in 2010. 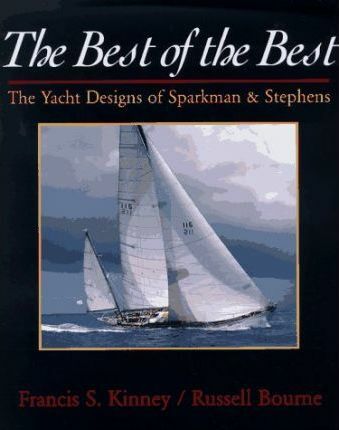 She is a 1934 Sparkman Stephens Ketch. Daughters going away to college and needing help. Parents ill and getting older... the boat had to wait...over and over. I long to work until she is ready alas. I have been restoring my lovely Roon II for over three years... she is so close! I do this all by myself! I used to think I was handy hanging Christmas lights. I now have a band saw- a table saw- I built my own work bench. My boat is totally original. She does not have DC running lights- she has her original lanterns. I have pictures of her with the four families before me. She is on page 50 of "The Best of the Best" Olin Stephens designs. My boat came with 300 original charts. She sailed from New York to Cuba every year... so much history and I have it all. I have her original sails... all hand made. I have an autobiography of the man who commissioned her and he speaks with love for her. I have documented everything I have done. I learned how to make my own red lead paint, white lead paste, and I make my own "special mixture" for below water seams. 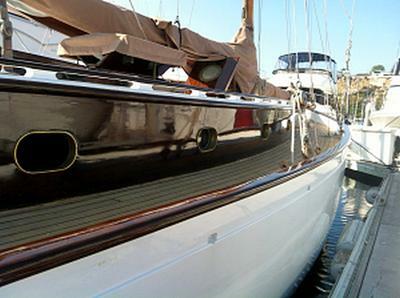 I have caulked all her seams..above water, below water and the deck. I have learned so much over these last three years. I am proud of what I have done. Please wait until I have put together my marvelous pictures! Today I had to make my first block. As Roon will apply for Federal Historic Vessel, I must keep all things coming from her. This block needed much repair to the wood surrounding the shiv block for running back stays. I took the innards and made a new block. It is so pretty and it is the first time I have ever tried such a thing! Like you, I have two children in college and am caring for aging parents and look forward to downsizing to live on the wonderful wood boat "Frolic" once she is restored. Thank you for sharing the hands on experience and inspiration. I look forward to the photos. Well you certainly have done wonders for moving up! the learning curve so well! Just wait til your splash down day - hope to see pics of that. My Picaroon shows up on this site as I took delivery, in great shape except for the cosmetics which I have PRETTY WELL conquered-just final fibreglassing the cabin roof and painting same. My problem is time, I also have a C & C Landfall 40, a 19 foot Matilda and a 19 ft speedboat that all demand attention. Add my several sports cars and 4 daughters into the mix as well as an acreage and my days are long but I welcome the activity. Keep me posted with your countdown and I will respond with mine if you are interested. We are eager to hear more about your superb work on "Roon II". There are a couple of way for you to post updates. You can submit another post using the form here and I will then ‘merge’ it with your original post. Or, if you are having any problems with photographs (or text), you can simply email them to me (as attachments) at mike@diy-wood-boat.com and I can do any resizing etc then add them for you. I hope that both your and your daughter’s fingers have recovered from all that wire rigging splicing. I’m really looking forward to seeing and reading more about the restoration of "Roon II"
In the meantime there are some photos and details of "Roon II" (Design 28) on the Sparkman Stephens Blogspot.